Lucas was born in Twin Falls Idaho and his family relocated to the Treasure Valley in 1989. After graduating from Kuna High School in 2004, he enlisted in the Air Force as an aircraft mechanic. Following 10 years of active duty service, he transitioned to the Idaho Air Guard to continue his service to this country. He also serves veterans in the community hosting golf tournaments all over the region as part of the Veteran Golfers Association, ensuring veterans have a platform for connecting. 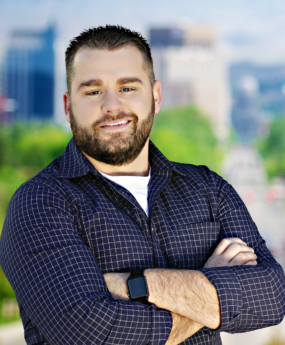 With 5 years of real estate experience, Lucas prides himself in customer service delivering high levels of communication, patience and attentiveness. His goal for each client, whether buying or selling, is to provide the best experience possible. As the recipient of multiple “Circle of Excellence” production awards and a member of the Boise Regional Realtors Outreach Committee, his professional experience is among the best in the valley.